In the last decade, there have been countless vampire, zombie and similarly themed books. A television series of The Legend of Sleepy Hollow began airing recently on FOX, NBC has commissioned a modern retelling of Dracula, and the BBC did it’s own interpretation of The Strange Case of Doctor Jekyll and Mr. Hyde (2007). Submitted for your consideration are recommendations of four horror literature classics in honor of Halloween. 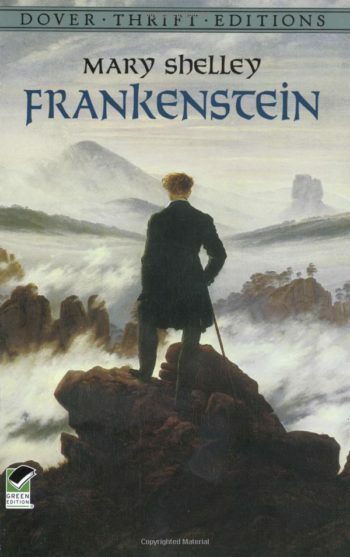 In Frankenstein by Mary Shelley, Victor Frankenstein, never having fully recovered from the death of his mother, becomes convinced he can create an immortal being. Modern film adaptations tend to focus their attentions on the monster, creating a horror tale, rather than the original focus of caution against the misuse of science. I recommend reading both the original 1818 version and Shelley’s 1831 revision. The 1818 version has a more autobiographical slant, hinting more at Shelley’s feelings of competition with her stepmother, her guilt over her mother’s death in childbirth, and her own feelings of ambivalence towards her children. The 1831 revision takes a more conservative approach, making Victor more a victim of fate and circumstance than someone suffering the consequences of poor choices. The 1831 revision also puts Elizabeth (Victor’s wife) in a more subservient role rather than as an equal. 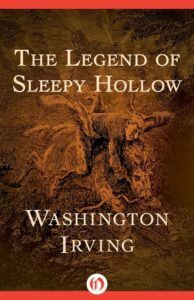 The Legend of Sleepy Hollow by Washington Irving is another classic many of us have grown up with. Modern retellings embellish the character of Ichabod Crane and make the Headless Horseman into an evil, ethereal creature. In reality, Sleepy Hollow was likely derived from German folklore about “The Wild Huntsman”, whose victims were full of arrogance and held little moral value. In Irving’s rendition, Crane is in competition with Abraham Van Brunt for the hand of Katrina, the only child of a wealthy local farmer. Crane is a scheming outsider who cares only for Katrina’s inheritance, whereas Van Brunt is well known within the town as someone of strong moral character. Many themes have been argued for The Legend of Sleepy Hollow, but some scholars agree that having been forced into bankruptcy after the War of 1812, Irving was disillusioned with the idea of America as the land of opportunity and instead saw Europe as a place superior in culture and history. Dracula by Bram Stoker has been the primary source for all things vampire over the last century. The idea of a vampire-like creature has existed in stories for centuries. From Buffy the Vampire Slayer to True Blood to Abraham Lincoln, Vampire Hunter, the vampire myth is seen throughout popular culture. While Transylvania seems more than a bit removed from Sunnydale or Bon Temps, all of these retellings have drawn some inspiration from Dracula. 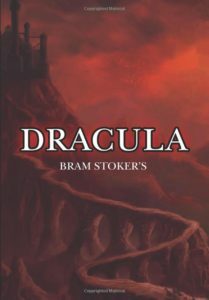 Many adaptations such as the two Dracula films from the 1970’s or Dracula the Undead by Darce Stoker (Bram Stoker’s great-grandnephew) stick closely to the original novel. Others take a less conventional turn such as The Batman vs. Dracula or Sherlock Holmes and Count Dracula. While Dracula was originally published as a horror novel, no one seems able to agree on one central theme with suggestions ranging from subtle homoeroticism to the urgent need for Christian salvation. 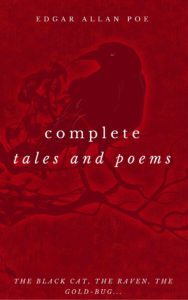 As with many of Poe’s writings, both of these works deal with themes of death and loss. In “The Raven”, the narrator dwells on the recent loss of his love and finds himself sinking into hopelessness and despair as he engages in a one-sided conversation with the Raven. Through this discussion, the narrator sinks into hopelessness and despair. The bird’s incessant “Nevermore” eventually convinces him that his soul is damned and that he will never see his lost love again in the afterlife. In “The Pit and the Pendulum”, the narrator finds himself locked in a small cell where he nearly falls into a pit. He then loses consciousness and when he regains it, finds himself strapped to a board with a pendulum slowly lowering, ready to slice him in two. Thanks to the gnawings of some clever rats, he is saved, but then the walls start closing in. Eventually, he has no choice but to jump into the pit. Each of these incidents demonstrates the psychological impact that terror has on a person, a theme that is recurrent throughout Poe’s work. The death of Poe’s wife at the age of nineteen has frequently been suggested as a driving force behind his continual themes of loss, dying and terror. In addition, Poe was a contemporary of and was well acquainted with both Mary Shelley and Bram Stoker. Gothic literature was a significant trend at that time, so this undoubtedly influenced each author’s writings. Poe and many of his works have permeated pop culture, and Poe himself is a frequent figure in movies, television and books. In an episode of The Simpson’s, “The Raven” was adapted with Marge playing the role of Lenore and Bart as the narrator. As with Dracula, Poe also teamed up with Batman to solve a series of murders in Batman: Nevermore and “The Telltale Heart” and “The Raven” have also been adapted to film. “The Pit and the Pendulum” has been adapted to film several times, and John Cusack starred in a 2012 film entitled The Raven, which centers around the last days of Poe’s life.